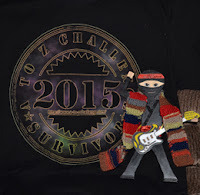 Alex J. Cavanaugh: Rush R40 Concert, Tomorrowland Review, Question of the Month, Battle of the Bands, and Ninja News! Would rush out with the important documents first.Perhaps should think of having them in a safe deposit box in the first place! Rocket ship under the Eiffel Tower. Interesting. Might skip this one. And if my house caught fire I'm assuming my partner and I would be chasing the cat and dog to get them to safety. Everything else can be replaced. Great and interesting news and events...thanks for sharing! I saw Tomorrowland over the weekend. I agree it started out interesting, but then it lost some magic. I probably should have waited to rent it. A movie about tomorrowland should take place more in the future. I guess I wasn't really sure what to expect. I give them credit for trying something new. Assuming my son can make it out on his own, I'd probably grab my netbook and the flash drive where all of my files are stored. Was Tomorrowland considered a flop? Seems I read something like that. I've never been into Rush's music. As a kid, I knew a lot of people who loved them, but that guy's voice just seemed creepy to me. Like he's going to kill you in your sleep. I haven't seen Rush, but I would love too, although not here in New Zealand where concerts are super expensive, probably due to the airfare to get here. The first version of Shock the Monkey is my preferred - mostly because I really don't like Ozzy. If my house were on fire assuming my girls and hubby were out I would grab my photo file. Well, I have to say my cats and dog first, but then I'd either grab the disc with all my writing saved on it or my tower/hard drive if I hadn't backed up in a while...which is probably the more likely. Hi, Alex! Thanks for dropping in at my place today! I've been waiting for you to post a band battle and this one is a killer. I was into Coal Chamber 15 years ago. I never heard of Suburban Tribe. These are two evenly matched renditions of "Shock the Monkey" and I enjoyed both. I decided to look away and concentrate only on the sound because I didn't want the visual images to influence my vote. I dug Suburban Tribe. They deliver a harder and heavier version and that's what appeals to me these days. I vote for Suburban Tribe! Thanks, Alex, and enjoy the rest of your week! 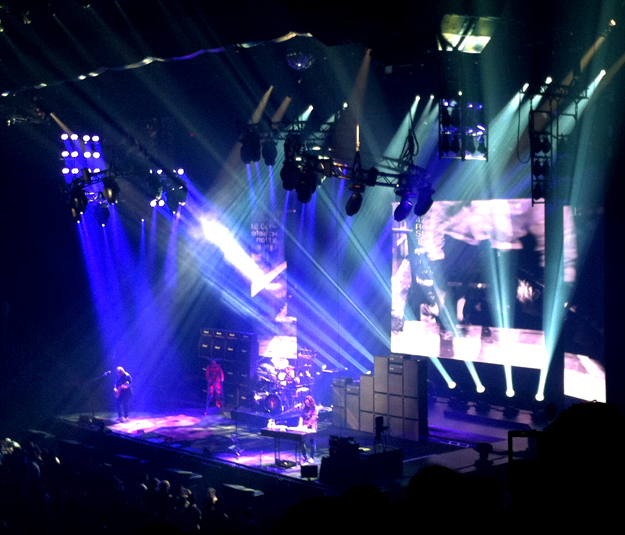 Seeing Rush had to be amazing! Very cool that they went back in time with the show. That would be fun. I don't know if I could stick to grabbing just one thing. I sort of see me starting with my laptop and grabbing some of my signed books as pictures as I ran out the door. Of course, I'm assuming my family is running out the door with me. Elephant, I wouldn't be grabbing the fish either. Maybe they would make it? TBM, very true! Stuff can be replaced. Lives cannot. Truedessa, it wasn't what I expected either. Stephanie, Geddy is the nicest guy in the world! You can sleep safely. Rhonda, my ticket was $160, so I can only imagine. Thanks for voting. I'd grab my cat and my flash drive (it has all of my writing on it). My smoke alarm actually went off this morning around 5:30, but for no reason (my theory is that it was dust from the litter box but who knows?). Luckily it stopped before I had to think about grabbing things. I've never seen Rush - that would have been an epic show! I guess it happens with bands - inevitably they have to stop sometime. But what a career they've had. I thought Tomorrowland looked pretty good on the preview - pity it was a bit of a letdown! I want to see San Andreas instead. :P I like meathead action movies, esp. disaster movies. What does that say about me? Will probably see Mad Max at some point. Had a few misses this weekend re: movie rentals but ended up re-watching the always amazing Silence of the Lambs. Tommorrowland look like it would be that way, too bad. I haven't seen Fury Road, yet. If my house was on fire I would grab the dogs and cat. Congratulations to all those with new releases. Have a great week Alex. Shady, I was impressed with Suburban and thought they were a worthy match for Chamber. Cherie, it's awesome every time. Sarah, that's a rude awakening. Trisha, they've had an incredible career. And hey, I dig disaster films as well. Cathy, that made me chuckle. I too would grab my computer, maybe laptop as well. Stuff on one that's not on the other. No animals to worry about. As usual I will wait to see these movies on DVD. Congratulations to all the new authors with books out. I begin to have more and more admiration for authors the more I have contact with them. Tomorrowland looked meh, glad I waited. Wow, you've seen Rush a lot haha #1 gets my vote. BOTB - woohoo, Alex! Loved both song versions but Suburban Tribe takes my vote. Love the hard jam! I haven't seen anything you mentioned. My cats would be what I'd save from the fire. Thinking about IWSG for Wednesday. I've never seen Rush live but a 40 year career with the same band is pretty amazing. Can't say I blame them wanting to settle down some at their ages. Never cared all that much for the song "Shock the Monkey", but actually I think both these versions are better than the original. My favorite of these is kind of a toss up, but over all I think I go with Coal Chamber as I like the overall effect of the presentation better than the first version, though I slightly prefer the vocals in the Suburban Tribe version. My vote goes to Coal Chamber. Thanks so much for the shout-out! :) I'm all ready for this Wednesday. As for what I'd grab, as long as my hubby and son are running with me, my flashdrive of my manuscripts and photo albums. I would make sure that my entire family is safe outside the house and then I would rush out with my prayer book, God's pictures, my laptop and cellphone (that is if I get that much time to gather all these things). I saw a nice Hindi picture Piku yesterday. How wonderful that you got to see Rush! In a fire I'd grab all my jump drives which have all my writing and pictures on them and then what ever else I could grab. As for Shock the Monkey. Not my kind of music but Coal Chamber with Ozzie is a bit more palatable. Happy Feet was preachy? Hmm. I've only seen bits and pieces of that movie. I'll have to watch the whole thing some time to see what you mean. Losing those guitars would make me cry too. Ah, yes, that would be a rush to see Rush!!! I had no idea Rush was that awesome in concert. I'm sad I've never seen them play live. And while they were both good, I give my vote to Suburban Tribe. Something about their version does it for me just a bit more than the Coal Chamber one (sorry Ozzy). Suburban Tribe gets my vote. Tomorrowland was a bit of a let down. Hi Alex!! Yes, like you I would have rather seen Fury Road again than watched San Andreas. At least San Andreas was mildly entertaining. It sounds like Tomorrowland was a snooze fest. I am looking forward to seeing Jurassic World. I haven't seen Tomorrowland, but it sounds fairly interesting. You're obviously a huge Rush fan and there seems to be no "happy medium" with this band. Alas, they are not my taste, (even though I'm Canadian too), but I do recognize their place in Rock history. Both BOTB entries were cool and I'm a huge Ozzy fan, BUT, I have to go with Suburban Tribe. Their version of "Shock the Monkey" was just more pleasing to my ears. What to take in case of fire? I couldn't confine myself to one item only! I would take our wedding album, my USB stick with all the photos and music on it and the gold ring hubby bought me in Greece. I going to say my hubs and kids are making it out, after that it would be the laptop. Sad, but true. Always nice to have a band that never disappoints. I prefer the Suburban Tribe...although I've got some things I don't care about that one either. See you Wednesday! That's very cool that Rush's first paid gig was at a highschool gym, and the stage is set to go backwards in time. I know Rush is saying this is it, but you know how that goes. These guys have been at it a long time and after about five years away, they all tend to get itchy fingers and hit the road again. As long as the gigs are great, age doesn't matter. Glad you got to see them. As for the songs. I'm going with Coal Chamber simply because it's more accessible for me. Much of that is down to Ozzy I suppose. However I have to give Suburban Tribe kudos for taking that song and making it their own. I'd grab as many of my pictures of my kids when they were little as possible if the house was on fire. My son didn't like Fury Road. I'll probably wait for the video. If I have to pick for the BoB, I guess I have to go with Ozzie's version. Hey, Alex! I vote for Suburban Tribe. OO is so freaky ~ I can't imagine being Sharon Osbourne! I have never seen Rush, but I have two BILs and a number of cousins who hold a Rush party for themselves and their friends in Nova Scotia in the summer. Females aren't excluded, but the gals seem to be scarce. If my house caught on fire, I'd grab my computer, external backups, and Dad's letters. How times change! Years ago when my family was in danger from a forest fire on remote Lac Seul, I was sitting on the dock hoping for a helicopter to come and get us. I had my most valuable possessions with me: my tikanogan for my baby doll and a wolf skin with yellow glass eyes that I had bought at the Hudson Bay post. LOL Have a good one! I saw a few trailers for Tomorrowland and none perked my interest. I'd grab my laptop and my stuffed pony I've had since I was 5. Hubby would probably be grabbing his guitars. Good morning, Alex!! I haven't seen any of the movies yet (and I appreciate the heads up). I'm in a Redbox/Netflix slump right now. Your choices for the BOTB were solid and I actually had to listen twice, but in the end the energy of Suburban Tribe won over! They both were worthy opponents!! Pat, I'm a diehard fan. Beth, you're welcome, and congratulations again! Lee, I think these versions are better as well. Rachna, thank you for having me! Brandon and Bryan, this tour will probably be your last chance to see them. MsMariah, that is the next big one on my radar. Debbie, at least they finally got in the Rock and Roll Hall of Fame. Michael, I'd wait if I were you. Robyn, it was so wild to watch the stage progress backwards! Fundy, they seem to attract mostly a male audience. Patricia, your husband is a smart man. Cherdo, I was amazed when I found the Surburban one. Neither of the bands are my favs, but prefer the ST version. Cool that the stage set went backward chronologically - how super must that have felt! Suburban Tribe by a mile. That Coal Chamber version is pretty weak to me. I didn't watch either video, because I didn't want to be swayed by the images. (And, let's face it, Ozzy with the yellow eyes frozen on the screen of the Coal Chamber vid freaked me out.) I expected to like the first since the yellow eyes really got to me. But, in the just listening I discovered that I preferred the Coal Chamber version. After family/pets I would have to say laptop or at least my memory stick! Had forgotten it is IWSG this week, times zips by so fast! Thanks for the reminder. I've always liked the Coal Chamber version. Tomorrowland started with such a unique idea, but there were too many plot holes and groan-out-loud moments. I haven't seen Tomorrowland yet but I've been seeing mixed reviews about it. Still in limbo as to whether or not I;m going to see it. Most movie lovers I know have been raving about Mad Max so that is on my radar. This BoTB choice is one where I have to say I can not decide. I had to let the songs play and turn away so I wouldn't let the visuals of the videos sway my decision. Both were very cool versions of the original. Maybe I just have a higher preference for the original. As long as my daughter and dog are okay,, my purse would be my grab. I want to have my ID with me. Rush was playing in St. Paul recently. I didn't go to the concert, but I saw lots of older guys in Rush t-shirts, a few were bringing their young sons along. I thought what a great band to have such loyal fans who want to share them with their kids. they lost with their families. Hopefully hubby would be with me and we'd herd all the pets out the door. I'm still waiting to see Mad Max. Thanks for the low down on Tomorrowland. I'm not a big fan of Ozzy, but I pick him today. Rush is one of the few bands I saw in concert. They are still one of my favorite bands. I think in general those who like science fiction will like them because some of their songs are futuristic. Too bad about Tomorrow Land. Cool Chamber was best. Why, I am not sure why? Mad Max was a non-stop ride, literally. We were exhausted when we left the theater. Looking forward to 2? Got my T-Shirt! Now will grab my gr-daughters and put together some photos. If my house were on first, I would grab family photos. I've never heard Rush in concert, but their Moving Pictures album was one of my all time favorites in my high school years. Nilanjana, it was wild to watch it progress backwards. Robin, sorry about the freakage. Angela, just go see Fury Road. You won't regret it. Mary, there were a lot of fathers sharing the concert with their sons at the performance I saw. And yeah, a lot of older guys. Cindy, you rock! Yes, they are a geek band. Susan, those last thirty minutes were relentless! If in grabbing you mean things with no legs, it would definitely be my computer and notebooks. Theoretically, everything else could be replaced. It would be, but it could be. I'd grab my cat and make sure my dog was running next to me. I found out the answer to that question the hard way. For the first time in her life, my cat scratched me and I awoke to a rolling carpet of flame over my head on the ceiling. I snatched my cat and crawled along the hallway floor. I discovered the unconscious body of my huge German Shepherd. I dropped Pebbles my cat and dragged my dog across the burning floor and out of the house. Sadly, Pebbles did not follow me as I thought she would. She raced back under my bed. My dog later died of seizure problems. Not a happy memory. Besides my two furry friends, I miss my mother's Bible most of all I lost. I was hoping Tomorrowland would be as great as the trailer so I could take my 6-year-old nephew. He has a short attention span, and now I'm not sure this will keep it. Like, really nice concert Rush! The first I'd grab in a fire would be my 28-year-old stuffed cat Davy, whom my late grandmother made for me when I was eight years old. He's been made Real, with all the yellowed and worn fabric, plus how thin he's been worn. His twin sister Davina meanwhile still looks as plump and new as the day she was made. Liked the Coal Chamber version better of the two-good call on using two covers, as I agree that the PG original would have been a foregone conclusion. Thought Coal Chamber's version was a little more accessible and melodic. I saw Tomorrowland when I went home to Idaho to visit mom in the care center. It was a nice distraction, but not a great movie. I don't think I'll watch it again. I did like the house that Clooney was living in. His defenses were pretty amazing. Oh wow, thanks so much for the shout out on my Tomorrowland review! And I could not agree with your assessment more. It was kind of a "oh, what a shame" movie. And the Eiffel Tower thing REALLY bugged me. I'm going to go against the popular flow and vote for Ozzy and Coal Chamber (even though I'm not a big fan of the Oz) I did like the visuals on the Coal Chamber version, since IMO, the whole idea of a video is to merge visuals with sound. I've been in a couple of small fires all caused by someone else, and I grabbed my cat and my wallet after calling the fire dept. Now, I'd grab hubs, wallet and my camera. I can be fast. . .
Alex, I know you loved the Rush concert. Congrats to Beth Ellyn and Christine! For the Battle, I vote for Coal Chamber. The other version just got on my nerves. As for what I would grab if the house was on fire: my dogs and my laptop. I live near where all the Texas flooding occurred (Austin, TX and the "Memorial Day floods") and found myself in a situation in which I was counting down the minutes until the danger of a tornado had passed. I have a dogsitting business and at the time I had 8 greyhounds with me. I corralled all of them in the back of the house and we waited the storm out. I was almost panicked because my little suburb was right in the path of the tornado warning and they had already seen touchdowns. What am I going to do with 8 greyhounds if my house is getting blown apart? It was a very scary situation and one that I don't ever want to be in again! I've had occasion to think about that very question here in the last few weeks. The flood happened so fast, in a matter of minutes, that people just didn't have time to get out. It's been a very sad time here as every day they keep finding bodies. So incredibly sad. Fire is also one of my fears, probably my biggest fear. Good question! To bad about Tomorrowland. I wasn't really sure how I felt about it, but I'm think it will be streaming viewing for me on Netflix. For the battle of the bans, I choose: Suburban Tribe. 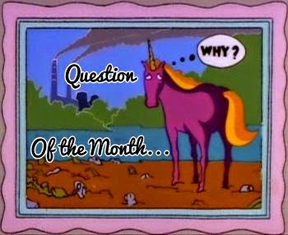 As for the question of the month...Oh my goodness, yes please grap those guitars. That's American art right there man! Come on, Alex. What other purpose could the Eiffel Tower have if not hiding a rocket? It's just common sense. If my house was on fire, I'd grab my cats, of course. And my laptop. Birgit, very true about the photos. Julie, makes me feel old! Roland, I am sorry they didn't make it out. Carrie-Anne, that stuffed cat has special meaning to you. Michael, might work for a zombie attack even. Lauren, you're welcome. Your comparisons were spot on. Michele, that would've been scary with just you and all the dogs. And the flooding has created so many tragedies. That's pretty much what I've been hearing about Tomorrowland--starts intriguing but declines. With those types of guitars, then you must save them. Re Battle of the Bands: I liked Coal Chamber's sound better than Suburban Tribe's, so they get my vote. Think I'll pass on the new movie. Although I usually see anything with George Clooney in it, this one sounds lame. I really enjoyed your post about character! I tend to get too involved in my plot, trying to make my character fit my plans rather than the other way around. And thanks for the heads up on Tomorrowland. I thought the preview looked a little cheesy. Have never seen Rush in concert, but that would be so very awesome! If my house caught on fire, I'd grab my purse and file of important documents. For the battle - I vote for Coal Chamber. That rush concert sounds really creative and awesome! Both versions of that song are great! But I pick Suburban tribe. Great, unique answer! I'd be tempted to grab my guitar too - I spent $1300 on mine. Have you insured yours? Having just seen Rush in Concert, I would have thought you'd post a covered Rush song. Curious. Well, no brainer for me, my vote goes to the heavier sound of Coal Chamber. And I'm sure Ozzy has nothing to do with my vote, lol. But the music was awesome-er. I don't like leaving a theater and not really remembering, or liking, a movie. I want to see Fury Road. Love love Mad Maxx. I'd probably grab my wine in a fire; need some solace after losing my entire collection of books :) I'd grab my Kindle too, likely. Karen, he has done worse though. Jenni, reverse that and it will be easier. Joanne, hey, we can't all have the same tastes. Life would be boring. Michael, they are insured through my homeowner's policy. Donna, only Rush can play Rush for me. I vote for Coal Chamber. Tomorrowland sounds like a rental for a future rainy day. As for the burning house question, I have a small locking metal box with things like lists of #s and copies of important documents, some personal mementos, etc. ready to grab and run in the event of any emergency. That and my laptop and I'd be good to go. Will watch both Mad Max and Tomorrowland this week. Thanks for the reviews! Thanks for the info. Heading over to Rachna's now! I haven't seen Tomorrowland. It doesn't appeal to me. I vote for Ozzy because he's Ozzy. Grabbing the guitars seems wise to me. I have not seen anyone almost thirty times. I don't think I've seen my kids almost thirty times. Okay, I'm making that up. I've seen my kids at least twenty-five times. Those are great things to grab. I'm more of a visual artist. I would like to grab some paintings I've done. Things like that are important. Sounds like Rush was a great gig! They certainly have a big back catalogue to play from. As long as my wife, kids and dogs were all OK, I would grab my laptop if I had a chance - but I make sure anything I need is cloud stored anyway. Rush has been together 40 years? Okay, I am now definitely very old. I've always thought that in a fire I would grab a couple boxes of letters and photos -- they can't be replaced and they're like pieces of loved ones. I have a friend who has seriously planned out what to save not because of potential fire but because their house was almost hit by last year's terrible floods. She wants to be prepared. Sorry Tomorrowland was a disappointment. After I made sure everyone was out of the house safely, I'd probably be too nervous to grab anything else in a fire. Ozzy gets my vote. The Rush concert sounds awesome. Mad Max all the way! I heard that Disney is cancelling TRON III due to the lack of success of Tomorrowland as if they were connecting in some way. I think that is a really bad idea on their part to jump to that, Tron is open for more story I think. Ps. Monkey-Wrench is my favorite song, from Foo Fighters too! Tomorrow Land isn't doing too good at the box office. When will they learn that the preachy factor doesn't work. In movies and books. Tying a string around my finger so I don't forget IWSG. Again. Tomorrowland sounds a washout, but I did watch Mad Max and it is superb! I went with my husband and his pal and they both thought there should have been more dialogue/plot, but I think the balance was just right. Lisa, my wife takes photos as well. In fact, I think we're due for more. Liz, it would be a crime to let them burn. Birgit, he is easier to understand when singing. Janie, that made me chuckle. Helena, that would certainly prompt me to prepare. Jeremy, you're welcome. And happy anniversary! You two need some time together. I thought cancelling the next Tron was a shame. Shah, Fury Road was awesome. I thought it was the perfect balance as well. I'm glad Rush didn't disappoint (again! - wow, 30 times!!) I've just discovered Anthrax and Slayer will be playing near me later this year... I just might have to check them out - I was too young during their prime. Thanks for the Tomorrowland review. Your reviews are always appreciated and helpful. I've always loved Rush's distinctive sound. If my house caught on fire (assuming my husband ran out on his own), I'd grab Katie Cat. I keep seeing the trailer for Tomorrowland and it just looks boring to me. I've seen the trailer about 4 times now, and I honestly couldn't tell you what I think the movie is about. 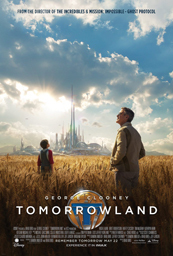 I have hope for "Tomorrowland" so I'll see it anyway but "good but not great" would look good on the poster. I guess I'd grab my phone since my whole life is on it right now (after my kids and wife of course). I'm still trying to think of what I'm insecure about that's fit to print. ;) Always a struggle between revealing too much and revealing just enough! I haven't seen Tomorrowland or Fury Road, but the reviews I've heard of Tomorrowland haven't been good. Not sure it's worth seeing in a theatre for me. If my house were on fire, I'd grab my cats. Everything else could be replaced. A slow decline... So true. I gave up watching it after, what, half an hour. I often get the impression I'm watching the same movie all over again. Maybe I'm getting old, Alex. Cool concert! And thanks for the movie review...I'll probably skip seeing Tomorrowland. Trusting the same, that my husband and dog would be right beside me out the door, I'd grab my computer. It has all my books it in. Oh dear, but what about the family photos? Argh. All the ones not on my computer? 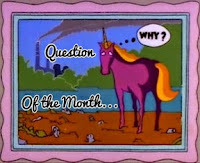 I HOPE I never have to really discover how this question would be answered... Got my IWSG post up and ready for tomorrow. Will wait for Tomorrowland to come out on Netflix, because they're sure to get a good deal on it. Still haven't seen Mad Max, but I will! Congrats to all the new deals, and books coming out!!! I haven't liked George Clooney ever since he effed up Batman. And that's saying a lot. Considering Adam West. Annalisa, never seen Slayer, but Anthrax puts on a good show. Laura, after watching it, I'm not sure if I know what it's about. Maurice, that would be hilarious on the poster! Lisa, I hope I never find out either. Al, that is saying a lot! 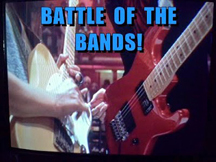 Battle of the band - I think I'd have to go with Coal Chamber. I feel it captured the essence of the song better, and was still original to stand on it's own. A fire in my house? I'd grab a case I keep all my original writings in. Everything I've ever written since the mid 80's and before. You must have travelled around the country to catch 30 Rush concerts? Unless they played in your hometown 30 times? Saw Rush way back in the day. Back when 2012 ruled the airways. I Googled the meaning of Happy Feet (saw it a number of times with the kids) and I can honestly say the whole gay thing never occcurred to me until now. We say San Andreas and Aloha over the weekend and Home the week before. Glad we skipped Tomorrowland. What? 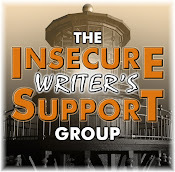 No IWSG co-hosts this month? I felt exactly the same about Tomorrowland. It could've been so great and it ended up being just meh. And yeah, the rocket in the Tower Eiffel was a total "whaaaaaat????" When I first heard they were making a movie version of Tomorrowland, I rolled my eyes. Then the previews looked intriguing. I guess I can't say I'm surprised, though, that it's not great. 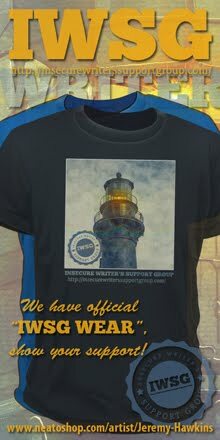 I haven't forgotten IWSG! It's the one thing I have remembered this week. Bittersweet about Rush. I hate it when good things come to an end. It sounds like the R40 tour was really good. I like how they went back in time to their first paid gig! That's a shame about Tomorrowland. It looked great in the trailer and I liked the premise. Oh well. Think I'll wait until it comes out on DVD. Sounds like the concert was amazing. I've never seen them in a live performance. Tomorrowland isn't high up there on my list of movies to see. Maybe on DVD... maybe. Assuming my kids were out of the house, I'd grab my flash drives with my photo files. I have the drive with my writing files with me all the time. Yes, I'm that paranoid. Congrats on going international Alex and I'm super excited about Jurassic World and Inside Out. I'd totally grab the cat but if, as I suspect he'd already be gone it'd be my phone wherein all my favourite family photos reside. Hmm, maybe I should keep the phone in my handbag since there is a lot of stuff in there I wouldn't want to be without and that way I could make multiple saves at once. Oh my gosh! That is so amazing about selling into translation. Huzzah! I prefer Coal Chamber. I'm thrilled for Beth and need to catch up with Christine's latest releases. I have seen Rush in concert once- back in 1991 or 1992. It was a great show. Glad to hear that this show was awesome. Mighty Rock 'n' Roll Nightmare! I'll probably see Jurassic World, but this time I'll be routing for the dinosaurs.